Join a very special master class clinic, directly from the driving force pioneering Oriental Rock Guitar! Conquering the stages of the world for 25 years in the biggest festivals, as well as collaborating with Steve Vai, Marty Friedman, Ron 'Bumblefoot' Thal and Sassi plays 17 different types of guitars and traditional instruments, and was invited to play live and share the stage with artists such as Metallica, Steve Vai, Marty Friedman, Steven Wilson, Dave Lombardo, Ron 'Bumblefoot' Thal (G’n’R) and many others. 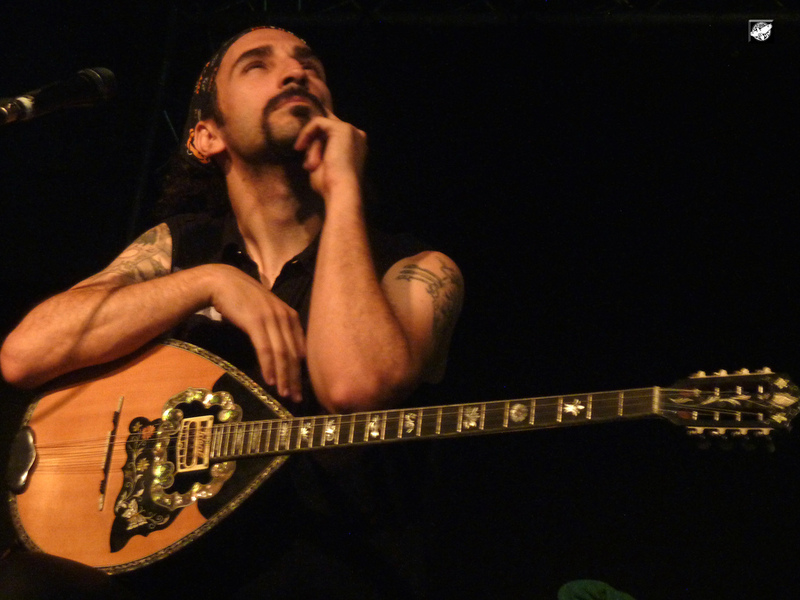 ​Sassi invented the unique Bouzouki-Guitar (Bouzoukitara) instrument (Electric guitar combined with acoustic Bouzouki & Acoustic guitar), gave a TED talk on "The power of music to unite people", and was awarded 4 peace and friendship awards. He endorses some of the best musical equipment manufacturers in the world. In the event, Yossi Sassi will share his knowledge and views on music and guitar approach, deliver tips and best practices, explain how middle-eastern musical scales (Makamat) are mixed with western scales, play solos with playbacks of his favorite tracks, and Jam with the audience! Familiar internationally to music fans by his unique trademark sound signature, Yossi Sassi merges roots with contemporary music, while taking Oriental Prog-Rock to levels unheard before. Voted "Top Newcomer of 2012" by "Rock Hard" magazine readers for his eclectic concept album, "Melting Clocks", Sassi blends East with West, Rock with Folk music and traditional Acoustic instruments with virtuoso Electric guitar. With over 24 years' experience as a Producer and Composer / Arranger, as well as co-founder of "Orphaned Land" (Century Media USA/EMI), Yossi Sassi continues to soar to new horizons. I encourage you to take the time to watch a few of the videos that capture both Yossi's talent and his audience entertianign and inspiring talks. Please contact me for more details or visit the Yossi Sassi Main Site which is highlighting the band's latest release Roots and Roads. Don't forget to check out Yossi's custom designed "Bouzoukitara". Please join the the movement to unite the world through music....Much Love and Hope Eva Dowd.